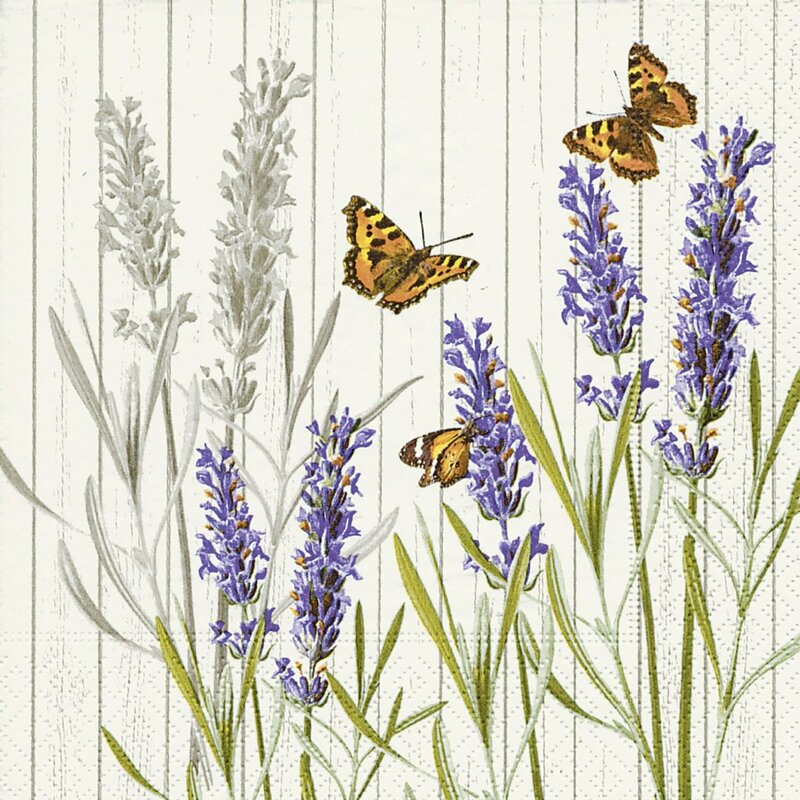 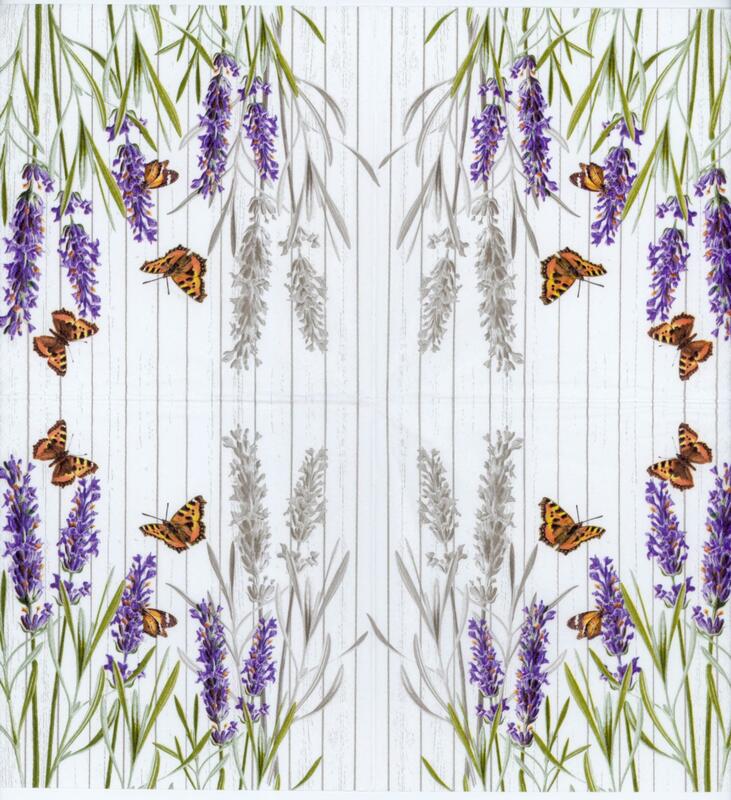 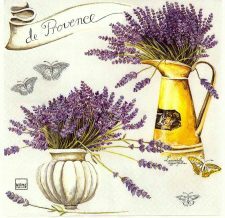 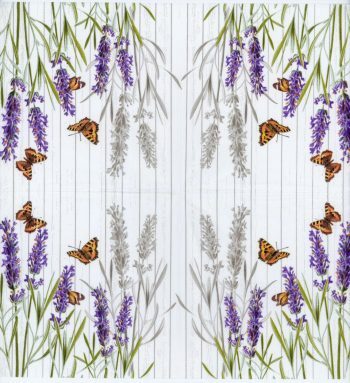 Decoupage paper napkins with lavender flowers and a butterfly front of fence printed on a 3-ply paper napkin in Germany. 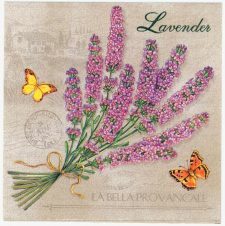 These paper napkins are lovely as party napkins, adding a touch of elegance to your table, be it a tea party, an event, or the dining table. They also make beautiful decoupage napkins for napkin decoupage and repurposing furniture and household items. 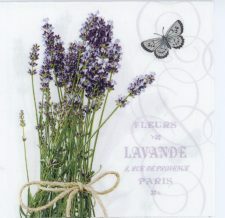 In addition, they work wonderfully for collage, scrapbooking, mixed media, bible Journaling and other paper crafts.